The Havana Swivel wing chair from Softline convinces through its dynamic, modern and light design with high comfort and exclusive workmanship. Busk+Hertzog was able to win the interior innovation award 2014 for the reinterpretation of the classic piece of furniture with the Havana wing chair. The armchair is now also available with a rotating five-star frame, making it even more comfortable and functional. The ear chair consists of a foam upholstery and a cover in different fabrics and colours. The rotating five-star frame is made of polished aluminium or aluminium painted black. That Havana is as comfortable as its name suggests is a matter of course for Softline. In it you can spend relaxing hours and the armchair becomes an eye-catcher in every room. 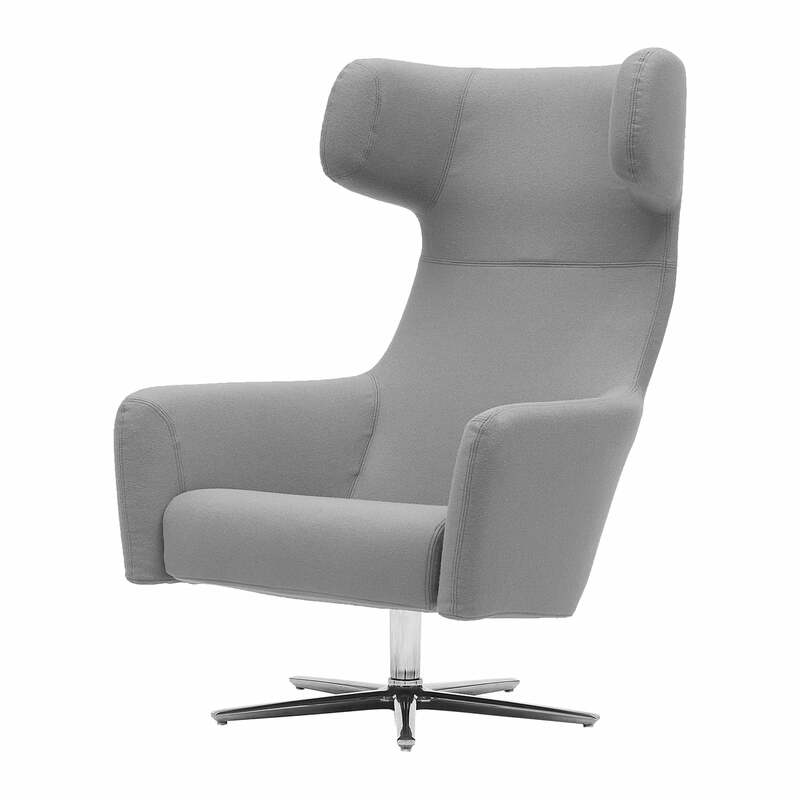 Havana Swivel Wing Chair from Softline in single view. The Havana Swivel wing chair from Softline convinces through its dynamic, modern and light design with high comfort and exclusive workmanship.